This is one of my favorite posts, from November 2008. It covers the reach of high school football on Thanksgiving and touches upon our men and women in the military overseas. This post goes out to my cousin, Sgt. Brian Fitzgerald, who is presently in Afghanistan with the Marines. Have a wonderful Thanksgiving. Connecticut Sports Law covers the intersection of sports and the law, inevitably touching upon the business of sports as well. Today’s sports fans seek more than the scores, the betting lines and the injury reports. Consider recent stories in the world of sports: speculation over Patriots QB Matt Cassel’s impending free agent status has run rampant. I’ve heard more people say “I wish I was Matt Cassel’s agent” than “I wish I was Matt Cassel,” quarterbacking the Patriots. (For the record, I have said both). At Notre Dame, the media and fans can’t help but inquire about coach Charlie Weis’ buyout clause rather than examine the causes for the Irish’s subpar play. At Indiana, the talk is of former basketball coach Kelvin Sampson and his 5-year ban from college coaching. The higher the level of competition, the more sports have become big business first, athletic competition second. But yesterday, I rediscovered an aspect of sports that had nothing to do with law or business. Unable to attend my high school’s Thanksgiving Day football game (Natick, MA vs. Framingham, MA), I searched the internet for information on the game. I came across boston.com which hosted live chat room on high school football, including breaking scores. Settling into a recliner with my laptop, I began to read the messages. People from all over the county were checking in on their respective Massachusetts high school teams. There were even a few fans of my hometown Natick Redmen (now the politically correct Red & Blue) online. 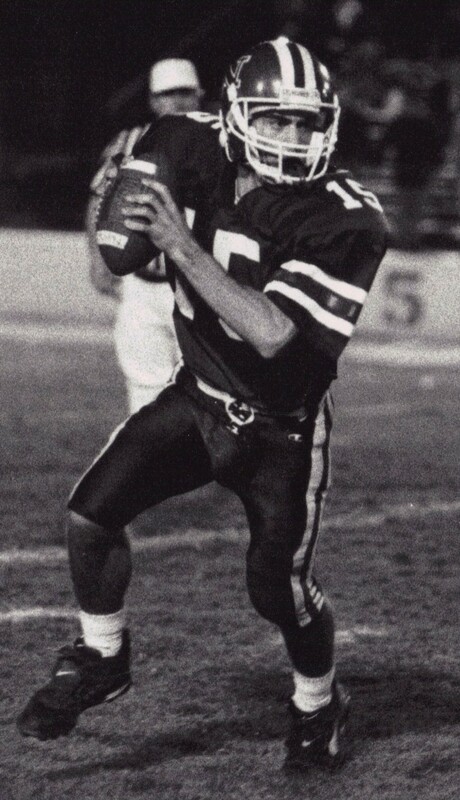 Someone mentioned Doug Flutie, Natick’s most famous alumni. An unfortunate Framingham Flyers fan claimed – most incorrectly – that Natick never won at Bowditch Field in Framingham. (In fact, Framingham hadn’t beat Natick on Thanksgiving at any field in six years). The most poignant message came from a US soldier in Iraq, checking on his hometown team. After “Dan in Iraq” posted a message, another fan gratefully thanked him for his service. But Dan wanted to thank the boston.com reporter for bringing high school football to him on Thanksgiving. Clearly this soldier was enjoying the same feeling of connection to his hometown and memories of friends that I was, albeit in a war zone. 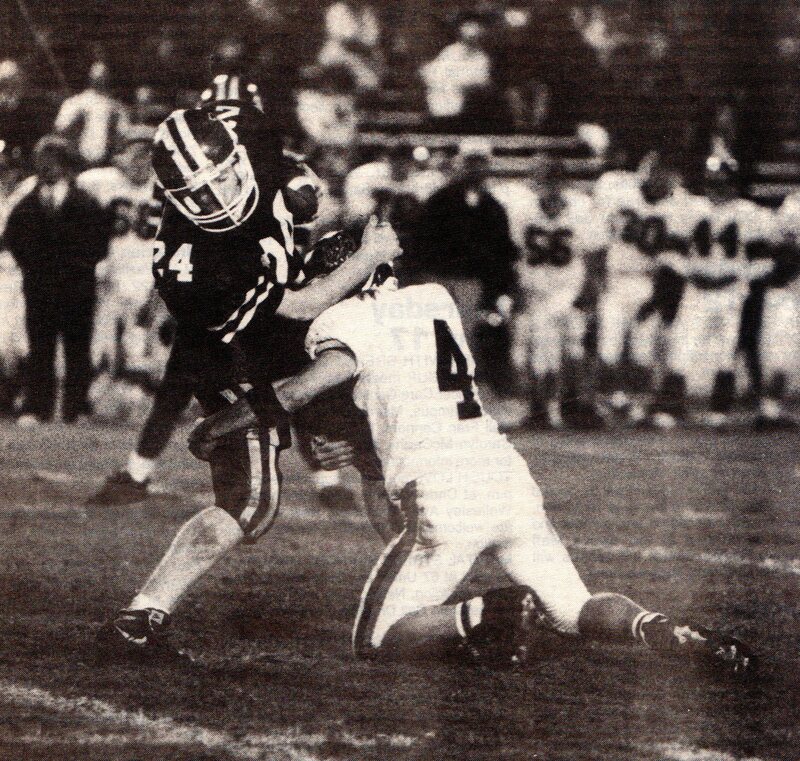 I continued to keep tabs on the score of the game, while remembering the images of the Thanksgiving Day game that I played in Framingham a mere 14 years ago: a capacity crowd braving freezing temperatures to watch a high school football game; our Captain, Brett Kelly scoring on a long touchdown and the photograph of the ensuing celebration appearing in the local newspaper; Coach Mike Dubzinski calling two consecutive quarterback sneaks to ensure that I would score a touchdown in my last high school game; and Mike Alves returning a kickoff for a touchdown. But most of all, I remember walking off the field with my teammates, having won only our third game of the season but feeling as if we’d won the Super Bowl. Yesterday Natick lost 28-9, but the final score did not dampen my spirits. Even though I wasn’t back in Natick, I was able to participate in the game. I remembered the friends and teammates that cheered for and played for the Redmen. I remembered that sports are about connecting people. I remembered that while today’s collegiate and professional sports are overrun with legal and business issues, the purity of high school football remains.